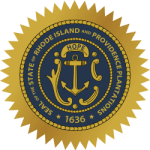 Through the office of child support services in Rhode Island, there is a legal way to enforce an order which will result in the payment of child support by the noncustodial parent. Assuming that you already have such an arrangement and the paying parent suddenly stops paying for such support, then you can file a complaint with the relevant child support offices in your local area. Step 2: Fill in the details as required with information of the custodial and noncustodial parents, children information, and medical insurance.